This post may contain affiliate links. Please ready my Disclosure Policy for details. I’m coming up on three years, drinking freshly prepared celery juice. This daily practice is the first I adopted, based on the teachings of the Medical Medium, Anthony William. Drinking celery juice is a global phenomenon. Thousands and thousands of people start their day with a glass of this green elixir. Because celery juice delivers amazing health benefits. How do you prepare celery juice? Celery juice can be prepared two ways. Trim the base off of a bunch of celery, wash, and run through a juicer. Try one of these juicers: centrifugal or masticating . Or, place cut up celery in a blender, blend on high speed until smooth, strain juice into a glass. I love this blender. Why drink celery juice on an empty stomach? Drinking this juice first thing, or 30 minutes after a glass of lemon water, allows the healing nutrients to be absorbed quickly. And, celery juice first thing in the morning strengthens the digestion of the foods eaten during the rest of the day. Finally, straight celery juice on an empty stomach deeply heals the digestive system and restores the stomach’s hydrochloric acid. Can celery juice be prepared the night before? This is one of the most frequently asked questions that I get about celery juice. It’s best to drink it fresh, immediately after juicing, so that it doesn’t oxidize. I know is takes a few minutes to prepare in the morning. It is worth the trouble, prepping the celery and then rinsing the juicer after use. Can I get the same benefits if I eat the celery? It is much easier to drink 16 ounces of celery juice, rather than eat a whole bunch. Plus the nutrients are delivered quickly to the body, through the juice. Of course, add celery to salads and recipes. It is a very healing food. What if I don’t like the taste of celery? Can I add other fruits/veggies? It’s best to drink celery juice plain, to get the most benefits. However, if the taste is a challenge, Anthony suggests adding half an apple to the juice. Gradually decrease the amount of apple, until it’s plain celery juice. Another idea is to start with a very small amount of juice, and gradually increase the ounces until you can drink 16 ounces. I tell people to just do it. 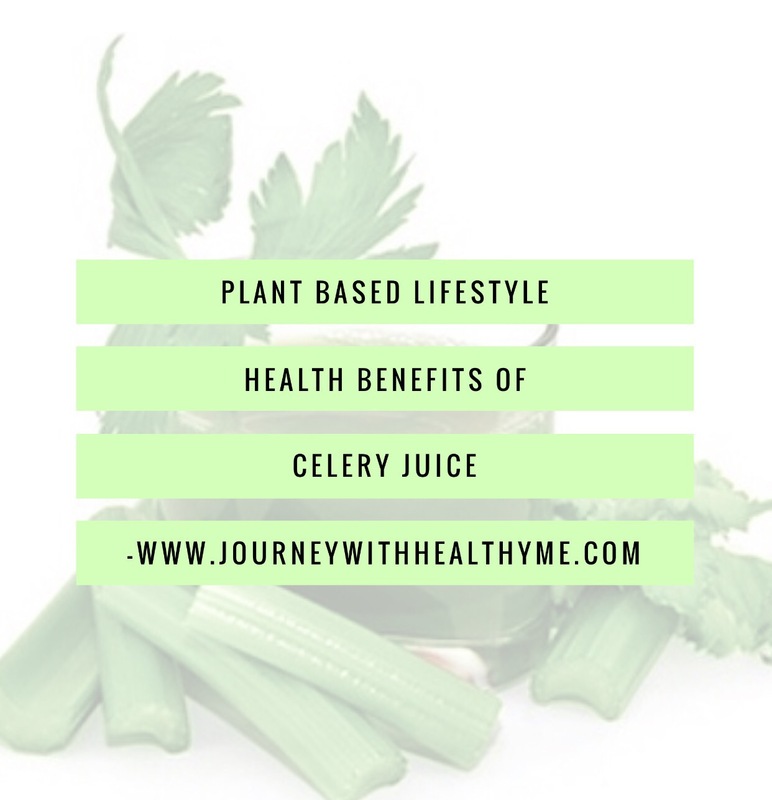 The benefits of celery juice are so many, and so powerful, that I’d recommend drinking it, even if you don’t care for the taste. I know people who started out not liking celery juice, however they continued to drink it, day after day. They love the green juice now. Can I drink more than 16 ounces? Yes! It’s okay to drink up to 32 ounces in the morning. Add another glass of celery juice in the afternoon or evening, if desired. Feel free to create a blended juice in the afternoon, for a health boosting pick me up. Add other fruits and veggies, ginger, cilantro, or other herbs. Have fun creating your own blends. Try this Apple, Ginger Celery Blend. Does the celery need to be organic? Organic celery is great, however, regular celery can be used with the same healing results. Make sure that the celery is washed well, using a dishwashing soap such as Seventh Generation. How Long Should I Drink Celery Juice? The simple answer to that question is, for the rest of your long and healthy life! This juice will continue to bring healing and restoration to the body. I crave it. As I prepare the juice, my body responds by vibrating at a higher frequency, in anticipation. I know…that’s wild. When I travel, or if I have several packed out days in a row and miss my morning celery juice, I can feel the difference. I don’t like to go very many days without my green elixir. Yes, it is so worth it. That’s a lot of healing! And it is ongoing, and cumulative. I began drinking celery juice, March 2016, hoping to calm the inflammation that was raging throughout my body. By July of the same year, I had read the book, Medical Medium, and switched to a plant based lifestyle. The immediate improvement I experienced, thanks to celery juice, was a healed digestive system. At one time, I kept Tums in my purse, car, and in multiple locations in the house, due to severe acid reflux and indigestion. Plus, I took a variety of over the counter antacids. My whole digestive system was a mess. I suffered from irritable bowel syndrome, gallbladder inflammation, stomach and abdominal pain, and what I called a sensitive gut. Later I discovered that’s a real condition. The nerve ending in my intestines were hyper sensitive, causing me pain when I ate high fiber foods. I will drink celery juice for the rest of my life. When I get up and move into the kitchen, I just fix my juice. I have a routine that works for me, prepping the celery, juicing, and then immediately cleaning the juicer while I sip my green drink. In case you are wondering, I follow celery juice with a fruit or detox smoothie. Do you have additional questions about preparing or drinking celery juice, or about its amazing health benefits? Cheers! Here’s to optimal health, vitality and wellbeing, for us all. Journey With Healthy Me is a participant in the Amazon Services LLC Associates Program, an affiliate advertising program designed to provide a means for sites to earn advertising fees by advertising and linking to Amazon.com, all at no extra cost to you. Today’s featured food is considered one of the most powerful, health changing foods available to us. It’s interesting because until I connected with Anthony William, the Medical Medium, I paid little attention to celery, which is actually an herb. As a child, the only way I would eat celery was as sticks filled with cheese spread or peanut butter. Later in life I definitely associated it with health but in a somewhat negative way. Celery was low calorie diet food. Fairly tasteless. Bland. Unappealing. Wow, have my feelings about celery changed! And here’s why. One of the first changes I made to my diet, even before reading the book Medical Medium and switching to a plant based lifestyle, was to drink celery juice on an empty stomach each morning. I read an article Anthony had posted on Facebook about the many health benefits of drinking 16 ounces of celery juice daily and I was eager to experience those benefits. Celery is a powerful anti-inflammatory that starves out unproductive bacteria, yeast, mold, fungus and viruses that are present in the body and flushes the toxins and debris out of the liver and intestinal tract. At the same time celery helps good bacteria to thrive. Celery alkalizes the gut. It contains more than 60 varieties of sodium and trace minerals that work together to raise the body’s pH level while getting rid of toxic acids. At the same time, celery has enzymes that raise hydrochloric acid in the stomach helping food to digest better and preventing ammonia in the gut, which is the cause for “leaky gut” syndrome and acid reflux. In addition to restoring the entire digestive system, celery improves kidney function, feeds and supports electrical impulse activity and neuron function in the brain, hydrates the body at a cellular level, offers stress assistance, repairs DNA and rejuvenates the skin. Anthony recently listed celery, in the form of celery juice, as the #1 health food and the greatest healing tonic of all time. Celery juice is easy to prepare. 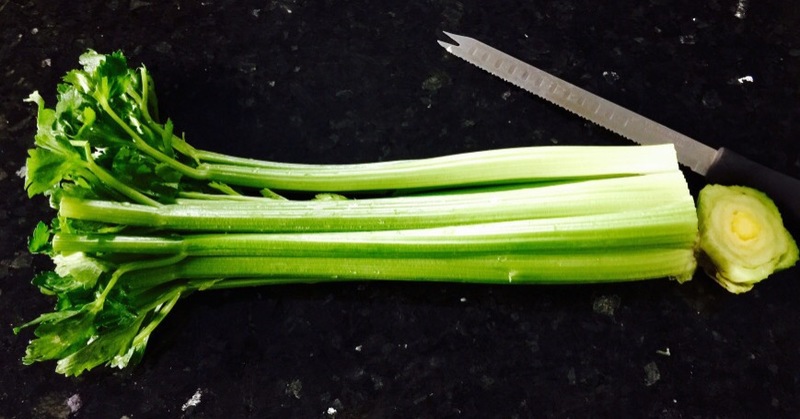 Trim one large bunch of celery and run the stalks through a juicer. One large bunch typically creates about 16 ounces of juice. Don’t add anything else to the morning celery juice and drink it freshly juiced, on an empty stomach, for the greatest benefit. Later in the day enjoy another juice, if desired, combining celery with other fruits or veggies. So, what difference has celery juice made in my life? Drinking celery juice daily has restored my digestive system. I’ve struggled with digestive issues since childhood, suffering from stomach aches and pains, a sensitive intestinal tract, irritable bowel syndrome, gall bladder pain and severe acid reflux. My indigestion was so bad that I kept bottles of anti-acids in the car, next to my chair in the living room and on my bedside table. All of those disorders have cleared up. In addition, celery juice keeps me hydrated, gives my skin an incredible glow, and eases inflammation in my joints and throughout my body. It is, truly, a magical elixir. People ask me what it tastes like. Celery juice tastes like celery. Depending on the celery…I buy organic…it can be very mild or have a slightly bitter taste. If you don’t care for the taste, start with 2 ounces of celery juice or 4, and work up to more. It’s that important. Don’t let taste keep you from reaping the restorative health benefits of this amazing drink. I confess that a couple of times, in the past 22 months, I’ve gotten lazy about juicing first thing in the day, and stopped the celery juice. I’ve regretted it. I can feel the changes in my digestive system and see the difference in my skin, when I don’t drink celery juice. I “got over” the perceived inconvenience of juicing by timing how long it took me to clean up the juicer afterward, because that was what I disliked. It takes me one minute to clean up. Sixty seconds is not too great a price to pay for the MANY health benefits I receive from juicing celery. Just do it, I tell myself every morning. I don’t pause to think about it. I just do it. I’m suggesting the same thing to you. 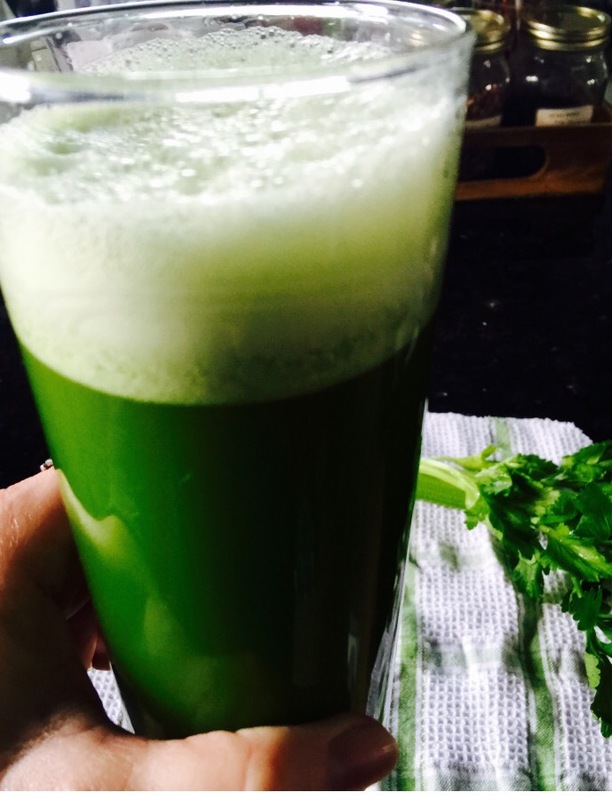 Celery juice…life altering, health changing, inflammation busting celery juice. Just. Do. It. One of the first shifts I made in my health routine was the inclusion of freshly prepared celery juice in the mornings. One year ago this month, after reading a post by the Medical Medium, Anthony William, I hauled out my juicer and ran a bunch of celery through it (literally one bunch of the green stalks, also called a head of celery), eager to try out this amazing juice. According to the book, Life Changing Foods, by Anthony William, celery is one of the most powerful anti-inflammatory foods because it starves unproductive bacteria, yeast, mold, fungus and viruses that are present in the body, and flushes their toxins and debris out of the liver and intestinal tract. These pathogens are the underlying cause of inflammation in the body. Without the pathogens, the body is better able to handle the other stresses life often presents. Celery also helps good bacteria to thrive and alkalizes the gut. At the same time, celery raises hydrochloric acid in the stomach so that food digests easier and doesn’t putrefy. This prevents a multitude of gastrointestinal disorders and allows for restoration of the entire digestive system. Additionally, celery, which is technically an herb, not a vegetable, improves kidney function, restores the adrenals, and eases the mind by supporting neuron function. This in turn helps with brain fog and memory loss. Celery hydrates at a deep cellular level, lessening migraines and stress, and it helps to repair DNA. No other juice brings the pure healing power of simple celery juice. While it makes a great additional to other green juice recipes, drinking freshly prepared celery juice has the most health benefits. And it couldn’t be easier to prepare. Wash one bunch of celery, trim the base from the stalks, and run through a juicer. One bunch makes about 20 ounces of juice. I like the taste of celery. The juice is light and refreshing to me. Anthony suggests running half an apple through the juicer, along with the celery stalks, if you don’t care for the taste of celery. And then gradually use less and less apple, to gain the most benefits from the celery. Drink celery juice on an empty stomach to raise hydrochloric acid levels. I start the day with a mug of warm lemon water and then follow it with celery juice. A breakfast smoothie follows later in the morning. I love how my body responds to drinking celery juice. I feel better. My energy vibrations begin rising while I am making the juice. It’s that powerful. Unfortunately, when I have a busy day ahead, it is the part of my morning routine that I am most likely to skip. No more. Even if this post doesn’t encourage anyone else to improve his or her health through drinking celery juice, it reminds me of what I am missing if I don’t. Greater health is worth the few extra minutes that it takes to make fresh celery juice every morning. I am worth it…and so are you. So….Cheers! Here’s to our health, wellness and vitality. I am an Amazon Affiliate and may earn a commission on purchases, at no extra cost to you. Thank you for considering making a purchase of these products, or any other items, through my Amazon links!